For Anthony Gronski, summer camp is a training ground for life. The executive director at YMCA Camp Woodstock, a summer camp and retreat center in Woodstock Valley, Connecticut, says today's kids are so electronically connected through texting and their phones that it's difficult for them to learn to build relationships, face to face. Summer camp offers an opportunity to disconnect from the internet and bond with friends in a positive environment, where kids can be kids. The camp's remote location, on a pristine 75-acre lake surrounded by woodlands and farms, is an ideal setting to create that environment. So even though there's no natural gas available and the electric grid can be unreliable, Gronski wouldn't change a thing. The camp simply turned to propane to fuel the generators, heating systems, and cooking appliances that keep them running in any weather condition. For institutions and retreats like Camp Woodstock that consider a remote location to be a selling point rather than a turn-off, propane can play a unique role in offering high-efficiency heating systems and reliable power sources that wouldn't be available otherwise. That's particularly vital for non-profit organizations like the YMCA, where lost revenue from a weekend without power or uncomfortable and upset guests can wreak havoc on an operating budget. Camp Woodstock, for instance, offered $177,000 in financial aid and scholarships to campers in 2016. But losing a week of summer camp to a power outage could result in up to $300,000 in losses — and that's not even including the loss of income from families who decide not to return. To avoid that scenario, the camp employs eight propane generators, six mobile and two permanently installed, to keep the camp running in an outage. "Out here, we lose power," Gronski says. "We're mainly wooded and pretty much the way it was since it was incorporated in 1670." Because the nearby community is so spread out, it's frequently the lowest on the priority list when power is restored. "We were the last ones to get power the last time it went out. Everyone here is prepared for it. Everyone has generators," Gronski says. The generators are critical to maintaining the camp's lighting, refrigeration, heating, and particularly the pumps for well water. "That's just such a comfort to have generators set up, because two things that really can stop camp is water and septic," Gronski says. "So those generators keep us operating and keep water flowing in both directions." Gronski recalls one Labor Day weekend when the camp was hosting its family camp, one of the most popular and busy weekends of the year, and a hurricane came through and knocked out power for most of the state. "We immediately started calling all the families, letting them know, ‘Hey, we're going to be operating. We've got generators. We're not going to let this prevent your family from having this weekend,'” Gronski says. “So we have the generators going, the families came out, and they had a great weekend. And really, that's one of the weekends I take the most pride in. "I remember the last meal, one of the participants who has been coming to family camp for 30 years, mentioned that the hum of the generators was a comfort to fall asleep to." In addition to reliable power, Camp Woodstock uses propane throughout the 42 buildings onsite, including lodges, cabins, and meeting spaces. All of the buildings use propane furnaces or boilers for space heating. Three centralized bath houses use boilers for hot water, and the lodges use propane storage tank water heaters for their bathrooms. Two of the lodges also have propane fireplaces. Just as crucial to the success of the camp, however, is a dining hall that serves three meals a day to 400 people onsite. The kitchen uses propane to fuel convection ovens, grills, and a large kettle that can handle 40 pounds of pasta. "It's really critical that our dining hall can maintain operation, regardless of the weather, without power," Gronski says. "We really rely on the propane to continue to flow even when we lose power." Like Camp Woodstock, summer camp at Crossroads provides a safe respite from the busy world, on a lake surrounded by woodlands. Originally founded to provide summer camps for kids from Boston, the organization has recently developed a year-round, holistic approach to programming focused on leadership, character development, and college prep. 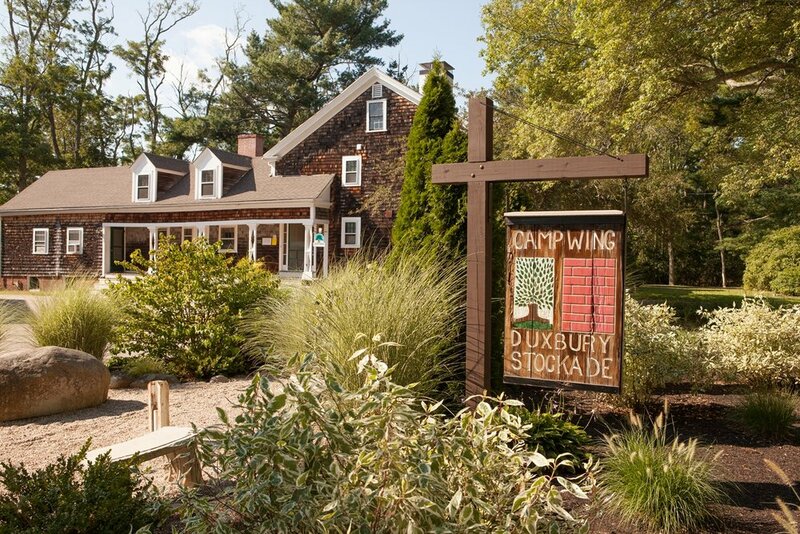 At the largest Crossroads site, a 200-acre camp in Duxbury, Massachusetts, propane furnaces, boilers, and water heaters provide space and water heating to 22 cabins, an office building, a barn used for maintenance and recreational space, a farmhouse and health center, and the Duxbury Stockade, a large colonial fort building that lodges up to 140 campers in the summertime and 75 in the winter. With no natural gas available on the site, propane heating systems were an easy choice over heating oil, says Ben Palmer, Crossroads' director of operations. "They perform better, and it's a cleaner option, too," he says. "Some of our donors are interested in making sure we're making environmentally sound decisions. So I think, as far as I know, it's a much cleaner option to go with the propane in terms of the emissions." Using electric only for heating was never a consideration due to the expense. In the dining hall kitchen, propane fuels a 12-burner stove, a large kettle, a griddle, and two convection ovens. Maintaining the reliability of that kitchen was an important factor in the camp's decision to use propane. "A lot of our buildings are deep in the woods, so being able to have the propane truck get down to them is a lot easier than trying to get onto the natural gas grid," Palmer says. "Even electricity is tough because where we have so many trees around, we often lose electricity in storms." Kids can stay at Crossroads for up to 24 days at a time, so providing nutritious meals and hot showers is a vital part of the camp's operations. Propane allows Crossroads to maintain those services reliably and cost-effectively. "We want as much of our fund as possible to go towards programming for the kids and teens," Palmer says. "The more we can keep the operational costs down, the better. We're a non-profit, so I don't think we'd be able to make it work if we were not using propane."